We use two types of retractable screens, depending on your budget and the size of your opening. 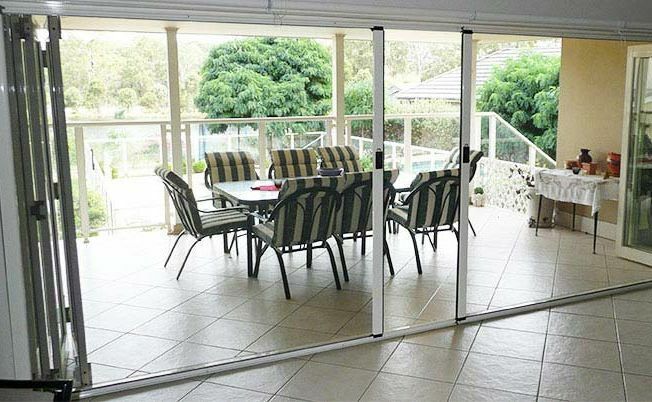 Both systems are made by the same Australian company and include high quality materials. Both can roll horizontally (such as your sliding doorway) or vertically (for example a servery window). The main screen we use is called the Freedom™ Infinity Zipline™. We tend to use this system because of it’s ability to span large openings of up to 4.5m in a single screen and 9m in a double screen and the way the mesh is held into the frame, top, bottom and on both sides using a unique mesh-to-track retention system, which prevents the mesh sagging and stops mesh blow-outs in high wind environments and by gravity (when used horizontally). This mesh to track system makes them perfect for larger openings and horizontal openings, such as stacker and bi-fold doorways. Accredited NATA Laboratory results prove the incredible strength of the Infinity Zipline™ system in that it can withstand a static load of 590kg and has a wind rating of 350km/h, exceeding cyclone conditions, when you likely have your solid doors closed anyway. The minimalistic appearance of the tracks, housing box and control bar which can be retrofitted to almost all applications, give you a seamless modern appearance together with uncompromising quality of the Infinity Zipline™ will perfectly complement your home. The second screen type we use if the Freedom™ Elite. This screen is different in that the span of the screen is 2m in a single screen and 4m in a double. This screen also does not have a retention system at the sides as this is not as necessary at these sizes of screen. 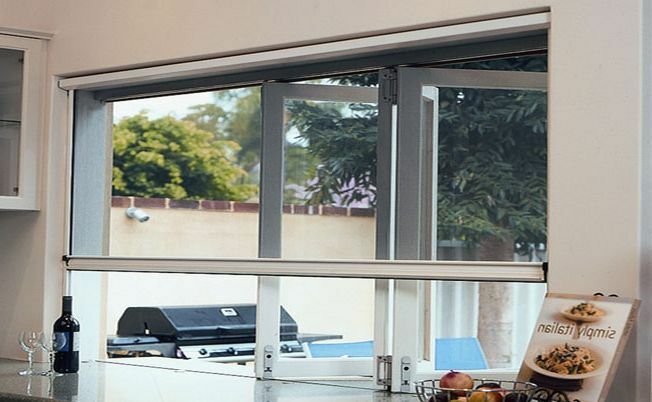 We normally use this type of screen on servery, double hung and casement windows as well as french, bi-fold and stacker doors as well as small openings. The easy to operate unique Freedom™ Brake System enables both screen types to stop safely in any position. Simply tilt to release the brake, then slide the screen up to allow food and drinks to pass through then lower it again to keep pesky insects at bay. The patented Freedom™ Brake System locks the screen closed with a seamless seal without the use of magnets or latches and uses a brush strip to gently seal the lower edge. Both Screens are available in a variety of finishes including powder-coated and anodised aluminium.